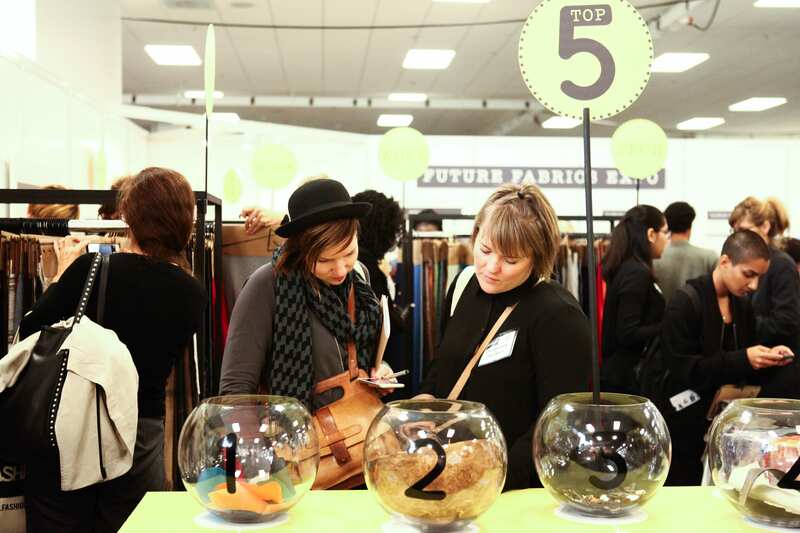 The 8th Future Fabrics Expo is only 2 days away! It’s finally here! This week, our Future Fabrics Expo will be unveiling the largest dedicated showcase of commercially-available fabrics and materials with a lower environmental footprint. Join our expo to discover innovative and sustainable solutions for fashion, as we highlight the whole journey from fibre to garment. Nearest tube station: Holborn station, Central line. Register for your ticket today, and keep scrolling below to get a preview of all our Future Fabrics Expo highlights! 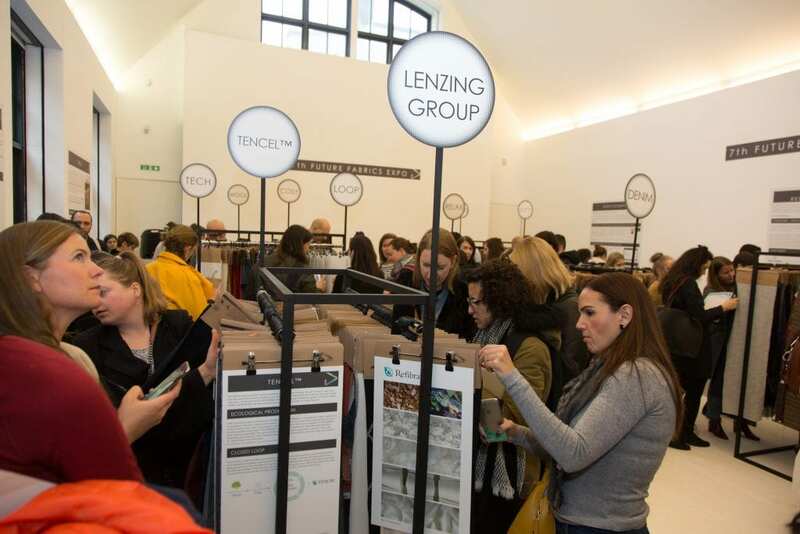 Our popular seminar programme will run alongside the expo throughout both days, featuring speakers from some of the most influential organisations in sustainable textiles and fashion. Speakers and panel discussions will be introduced by Clare Press, presenter of the Wardrobe Crisis podcast and Australian VOGUE’s Sustainability Editor-at-Large, Arizona Muse, model and sustainability campaigner, and Bel Jacobs, ethical fashion journalist and former fashion editor for Metro. Follow us on Twitter and Instagram for live updates of our seminar series. Holition is an award-winning creative innovation studio, creating bespoke experiences for pioneering brands. Discover more about them here. 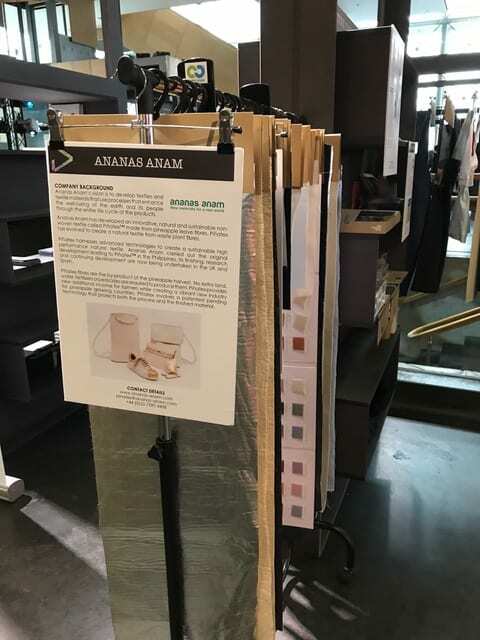 The Sustainable Angle showcased a selection of materials from our extensive collection at the Future Fabrics Expo. The theme of the Global Conference was “United by Action: Accelerating Sustainability in Textiles & Fashion”. Our partnership with the conference aimed to generate greater industry awareness about the ever-increasing range of innovations in sustainable materials currently available. Examples included Toyoshima’s food waste textiles, Shokay Lab’s yak down fabrics, and from Bossa Denim; low impact denim. The Indian subcontinent presents Cocccon’s GOTS certified silk, and South American ingenuity brings Nova Kaeru’s fish skins, as bovine leather alternatives. These were just a few of the diverse examples showcased from our collection. The Textile Exchange conference was attended by high-profile leaders and professionals working in corporate social responsibility and sustainability, sourcing and supply chains, product, business development, design, education and advocacy. Critical climate change issues around water saving, recycling and the circular economy imperative took centre stage during the seminars, while roundtable discussions covered topics around understanding sustainable practices for the production of organic cotton, the place of recycled polyester, what responsible wool production means, and the advent of the bio-synthetics era. Pertaining to this year’s most important topic —water scarcity — Jason Morrison (Head of CEO Water Mandate and President of the Pacific Institute) discussed the apparel sector’s water stewardship opportunity to help fight climate change. “Sometimes you have to expand the problem in order to solve it,” Morrison says. He references how “by 2050, global water withdrawals are projected to increase by some 55% due to the growing demand from manufacturing (400%)” (OECD, 2012). Morrison suggests that businesses can: (1) develop water strategies around Sustainable Development Goal 6; (2) talk in the same language as their civil partners, and (3) report annually to the CEO Water Mandate. 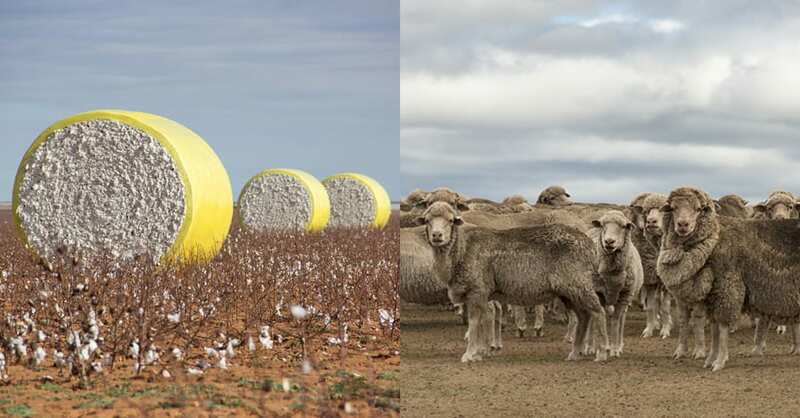 Renewable natural fibres were also central topics, particularly around how the entire supply chains of responsible wool and sustainable cotton need to be addressed. Sometimes with sustainability, we often become too dependent on statistics or rating systems, when in reality it is important to look at the impacts of a natural fibre across all stages of its life cycle, from fibre source and processing through to garment. One example was provided, in the roundtable discussion “Wool: The Facts Behind the Figures”, where we were taken on a tour of the wool supply chain to learn more about the impacts at each stage of wool production: from animal welfare and the impacts of grazing, on land health at the farm, chemical use during processing through to end of life (and recycling). In the roundtable “The Sustainable Cotton Change Agents”, discussions around how cultivating healthy and resilient cotton communities can help lift farmers and families out of poverty. In “A Conversation on Sustainability in Luxury”, Dr. Helen Crowley (Head of Sustainable Sourcing Innovation from Kering) emphasised the luxury industry’s responsibility to keep quality alive. She urged that social communities can be preserved by finding partners with historical expertise and craftsmanship such as in Italy. She also discussed that in order to reverse the looming environmental crisis, biodiversity will be their main priority over the next 2 years and climate change over the next 10-12 years. With the new Fashion Industry Charter for Climate Action formally launching soon at the United Nations COP24 meeting in December, the conversation around sustainable sourcing and production practices in the fashion industry is truly more expansive and inclusive than ever before. We were delighted to have been able to join these relevant conversations about how creating material change can address climate change. We look forward to next year’s Textile Exchange in Vancouver! 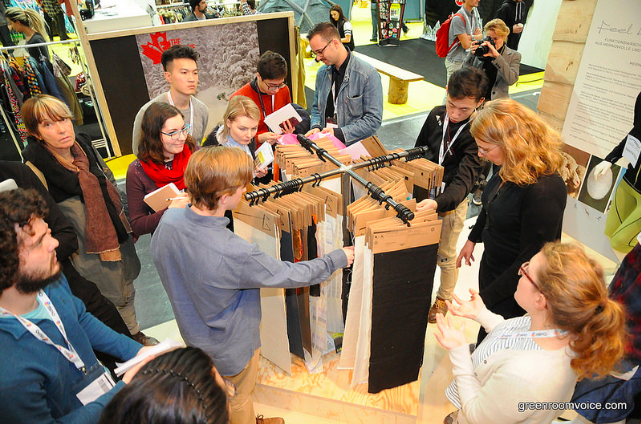 For more material discoveries, register and join us at the Future Fabrics Expo. 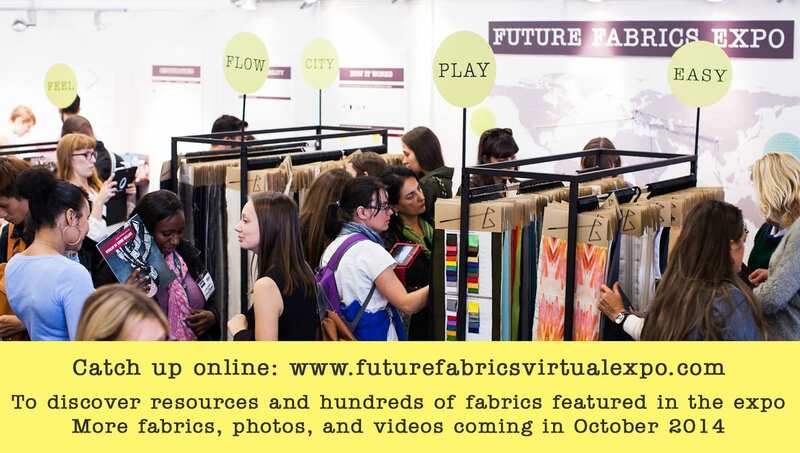 We’re really pleased to announce the launch of the Future Fabrics Virtual Expo, which has been conceived to extend the lifespan of the successful 3rd Future Fabrics Expo, through year-round online access to a curated range of sustainable fabrics and mills. It’s due to great demand from our visitors, readers, and networks that we have developed the first trial version of the virtual expo now, to allow designers and buyers to tap into our resources as a glimpse of what is to come in Spring 2014, when we will launch the second stage of the Virtual Expo, an in-depth and advanced online Future Fabrics Virtual Expo showcasing the dozens of mills usually featured in the annual Future Fabrics Expo. This first trial version includes six mills which represent a diverse overview of sustainable fabrics, from organic cotton denim, British wool, and sustainable silks, to Lenzing Tencel®, linen and organic cotton blends, low impact leather, European linen, and woven and knitted qualities. The second version is intended to function as an online tool to link mills with fabrics buyers/designers efficiently, allowing constant access to sourcing and sustainability information about fabrics with a reduced environmental impact, any time, from anywhere. 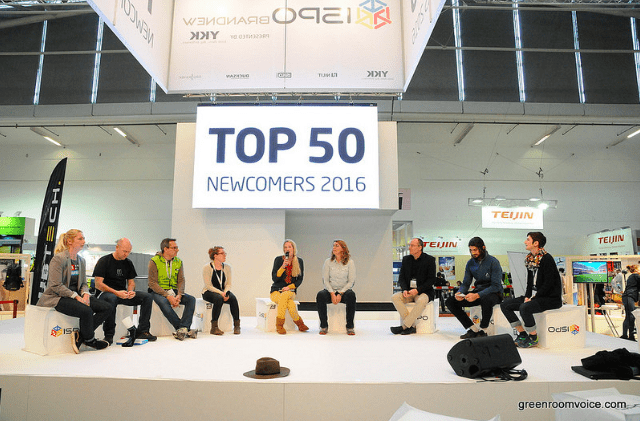 We will be updating the virtual expo seasonally and sharing our insights and finds from the main global textile fairs that we visit. All of this to make it even easier for you to source more sustainably. You’ll no longer need to wait until the Future Fabrics Expo to discover new sustainable fabrics and mills, and we will be able to more effectively and continuously share the diverse range of fabrics and information that is rigorously researched throughout the year. We will be collecting feedback about this first version of the Virtual Expo to help us build the second, which will include dozens of mills and hundreds of fabrics, with advanced search capability allowing visitors to search sustainable fabrics by terms including fibre category, environmental certifications, price, and country. We hope you’ll check it out and leave us feedback to help improve the next version. Please visit www.thesustainableangle.org to stay up to date with our latest news, events, and projects. Future Fabrics Virtual Expo version two, is planned for Spring 2014. 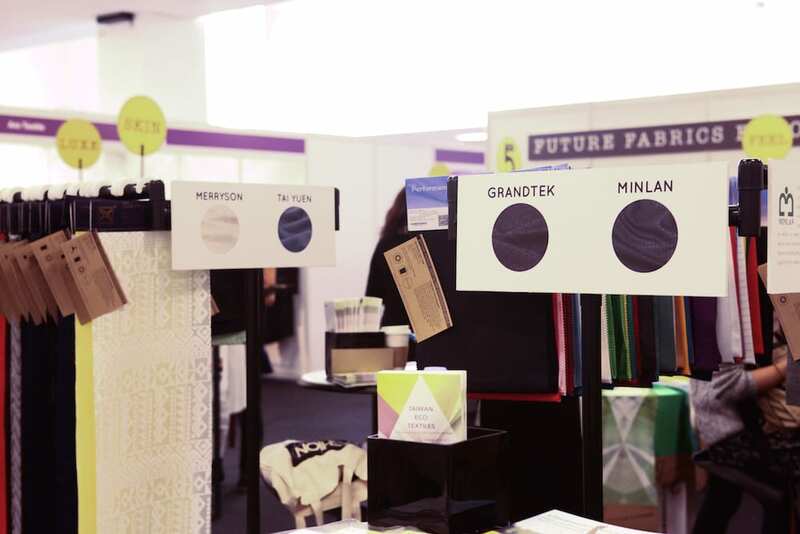 We’re delighted to share with you our video of the third Future Fabrics Expo which took place in September 2013 as part of Fashion SVP at London Olympia. The Sustainable Angle recently welcomed hundreds of visitors from the fashion industry to the 3rd Future Fabrics Expo, held inside Fashion SVP manufacturing and sourcing fair at the Olympia Exhibition Centre, London, on 22 – 24 September 2013. The 3rd edition of Fashion SVP was focused on near-shore manufacturing and sourcing from the European and Mediterranean region, and to reflect this the Future Fabrics Expo featured a section dedicated to British produced fabrics, as well as hundreds of European fabrics throughout the expo with a reduced environmental impact. 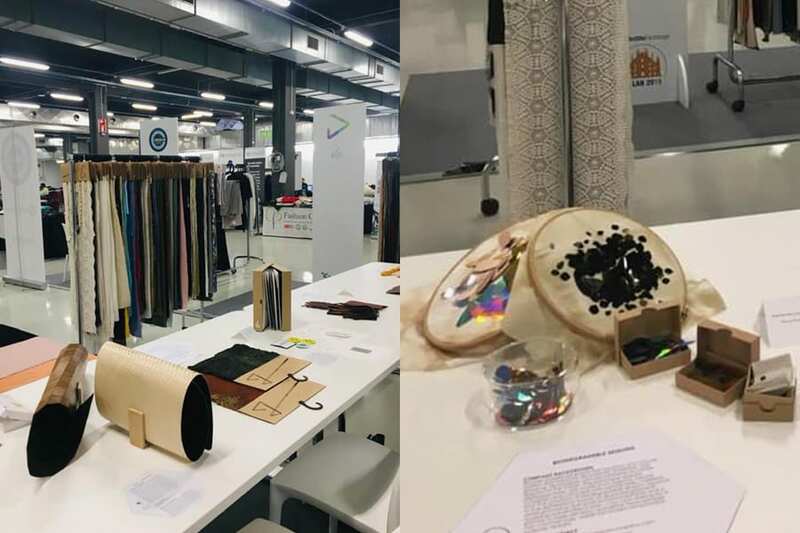 In addition, for the first time the Future Fabrics Expo showcased a section dedicated to low impact leather and leather alternatives. 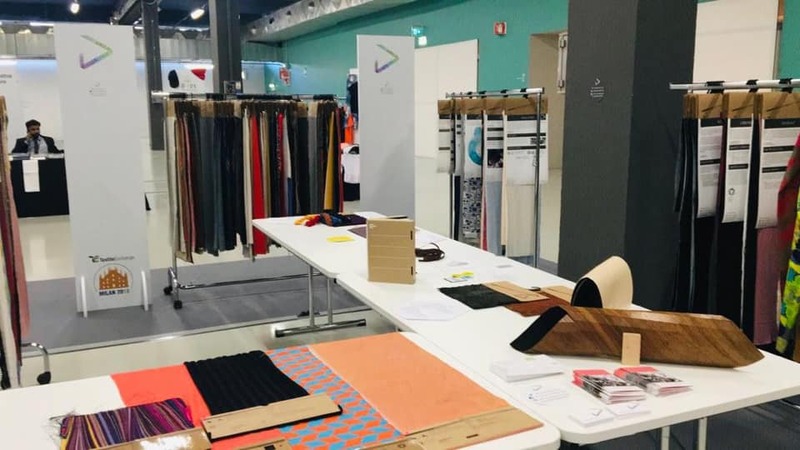 The 3rd Future Fabrics Expo again showcased fashion fabrics and innovations with a reduced environmental impact, accompanied by background information explaining the future fabrics and ideas for making fashion more sustainable. 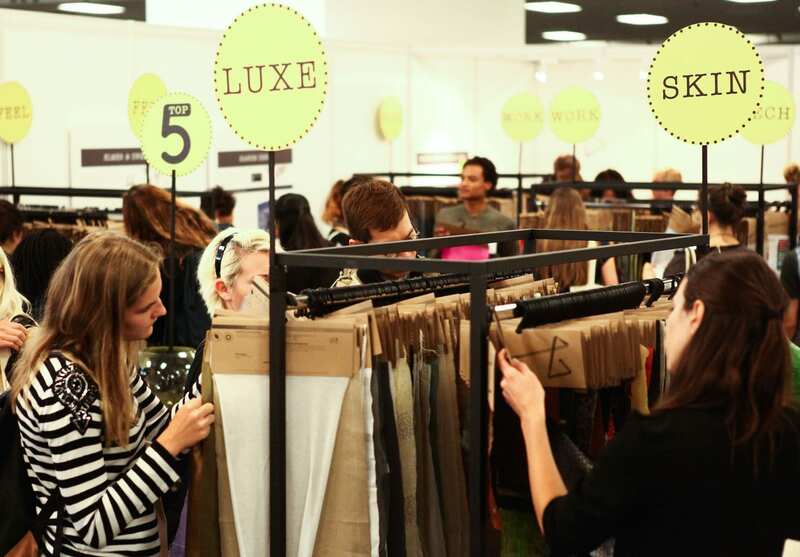 The expo showed a curated selection of more than 800 materials with a reduced environmental and social impact, including low impact fish leather, denims blended with cellulosic fibres, British tweeds woven in London, knitted and woven organic cottons, and innovative man made performance fabrics. Our seminar on ‘The Sustainable Future of Fabrics’ presented by Amanda Johnston was one of the most highly attended talks of the whole 2 day seminar series, showing there is a positive rising demand for sustainable fabrics and sustainability information. 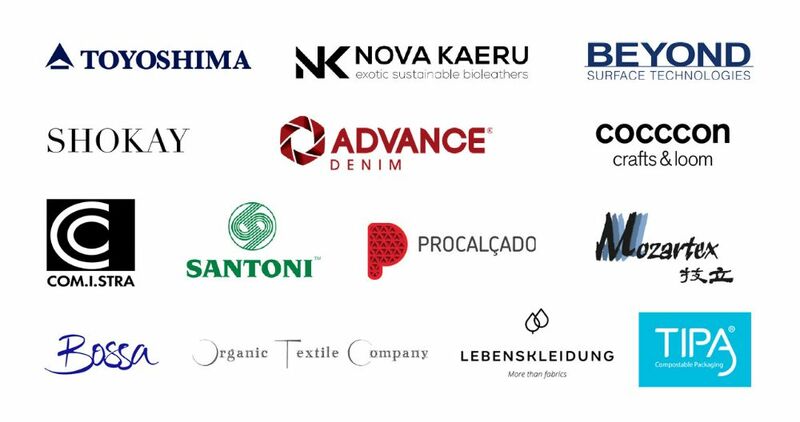 The expo was generously sponsored by mills and organisations from the textiles, retail solutions and certifications sectors: Kassim Denim, Pratibha Syntex, Swiss Organics, Avery Dennison, and GOTS, showcasing sustainability efforts across the supply chain. Even if you could not make it to the expo you can visit our website and blog for our latest news, and you can get in touch to discuss tailored workshops for your company. We will be sharing the latest Future Fabrics Expo video and photos with you soon, and in the coming months we will be releasing a digital version of the expo, so keep in touch. Over the past two years the Future Fabrics Expo has achieved a winning combination of increasing the visibility of innovative textiles, and promoting and communicating textiles with a lower environmental impact to designers, buyers, press and global organisations, in a setting that is designed and curated to introduce textiles for the future with a lower environmental impact in a jargon-free manner. So this year we are looking forward to bringing the expo right to those designers and buyers at the forefront of the industry, by presenting the expo as part of Fashion SVP, the leading event specialising in near-shore fashion manufacturing. Fashion SVP will take place at Olympia Exhibition Centre, London, on 22nd – 24th September 2013. Fashion SVP, established in 2011, is now expanding to encompass over 15 European and Euro-Med countries, including a healthy UK percentage, to make up a spread of over 70 companies from full-service to CMT, able to produce ladies’, men’s and children’s wear knitted and woven collections. The carefully vetted producers will be able to meet the demands and standards of UK and European buyers. The seminars, crowded at the 2012 edition, will be expanded in 2013 under the guidance and direction of the Advisory Board (made up of the biggest UK retailers and brands) to produce a two tier programme aimed at addressing sourcing issues relevant to both senior and middle management. The topics covered will range from Regional Briefings, New technologies, Innovation in Sustainable Fabrics, Near shore versus Far East manufacturing, the Role of British Manufacturing to name a few. The CIFF Future Fabrics Fair and Conference, due to take place in Copenhagen on 8-10 September 2013, has been postponed until 2014. 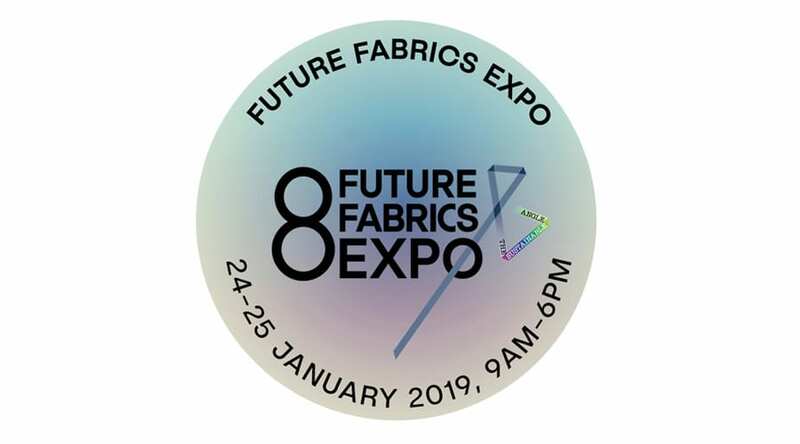 This fair was due to host the 3rd Future Fabrics Expo by The Sustainable Angle, but has been postponed to a date in 2014 that will be suitably fitting in the busy trade fair calendar. The next Future Fabrics Expo 2013 will therefore take place in London once again, following in the footsteps of our first two expos which were hosted in London in 2011 and 2012. We look forward to showing more than 700 1m length unique and individually selected natural and man made sustainable fabrics from over 50 global mills in a curated showcase aimed at designers, buyers, students and press. 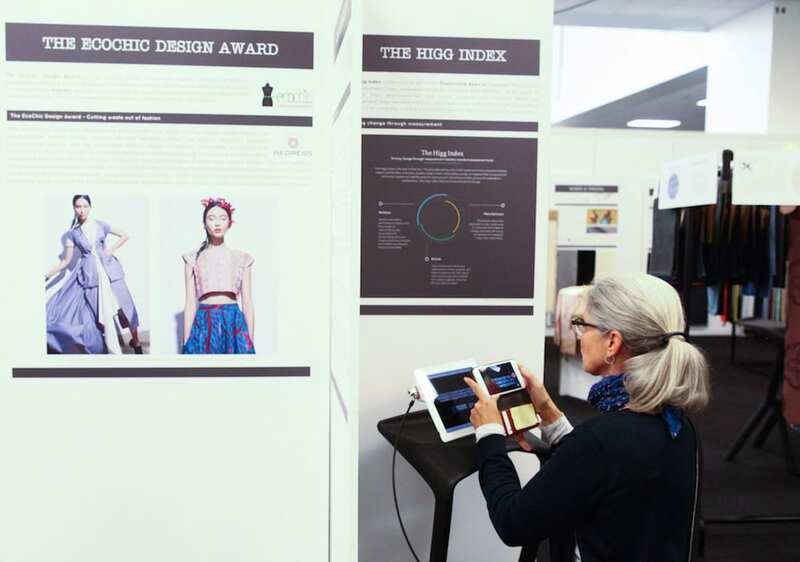 The Future Fabrics Expo has achieved a winning combination of increasing the visibility of innovative textiles, and promoting and communicating textiles with a lower environmental impact to designers, buyers, press and global organisations, in a sourcing and research setting that is designed and curated to introduce textiles for the future with a lower environmental impact in a jargon-free manner. We will update you in the next few weeks with details for the next Future Fabrics Expo, London 2013, and in the meantime you can visit our website and blog for our latest news. It’s been a quiet year so far for us on the blog as we have been busily planning our exciting upcoming projects for 2013, which will see us sharing our carefully curated sustainable fabrics with you both in and out of the UK. Most exciting on the agenda is the third Future Fabrics Expo, which is due to take place in London at the end of 2013. 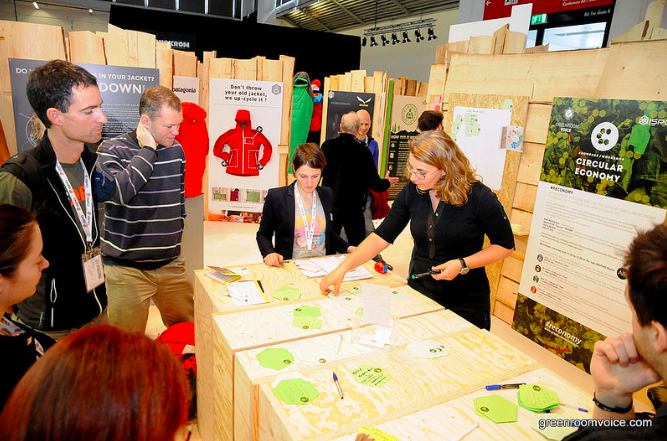 The Expo will be presented in its usual format with a diverse selection of sustainable fabrics meeting our environmental criteria, and will showcase even more sustainable products and innovations. To help build our sustainable fabrics collection we regularly visit Europe to talk with mills and dig deeper into the supply chain to bring you the most accurate and up to date information possible. 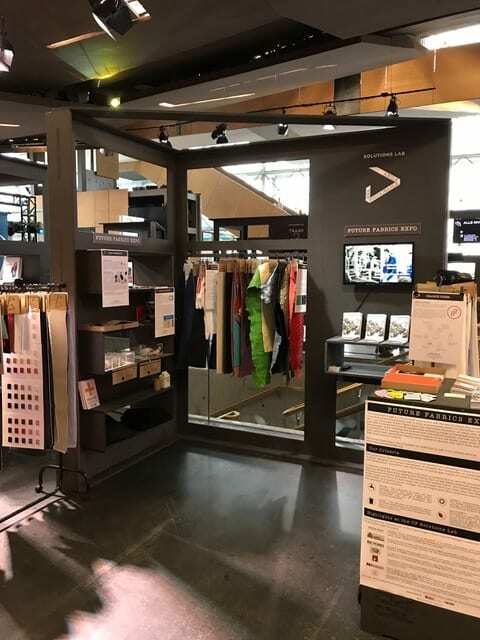 Our latest research trip took us to Premiere Vision and Texworld in Paris, where we were pleased to see visible progress since our last visit in September. Both large-scale global companies and much smaller textile mills with widely varying customer bases were receptive to speaking about sustainable and responsible practices, and we were really pleased to catch up with our mills regarding their new developments and progress, as well as meeting new companies from around the world. We are happy to say we will be joined by several exemplary mills and finishers in our next expo, and are looking forward to welcoming even more (please contact us regarding participation). At the Paris shows it was terrific to see new developments across product groups, including man-made and regenerated fibres, natural fibres, processing and finishing. By educating the industry and consumers about what state the textile industry is in, what is possible now and in the future, and by showcasing innovative developments and traditional solutions as we aim to do with the Future Fabrics Expo, we hope it will encourage people to start interrogating, questioning, researching, asking and expecting more from our textiles mills – and as we have seen there are many mills who are happy and capable to oblige.